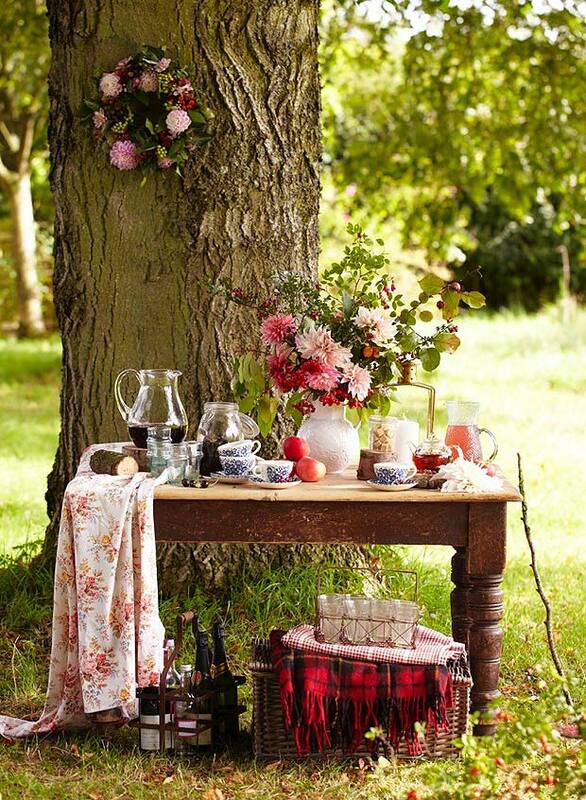 'Country Living showcases outdoor living in the September issue. 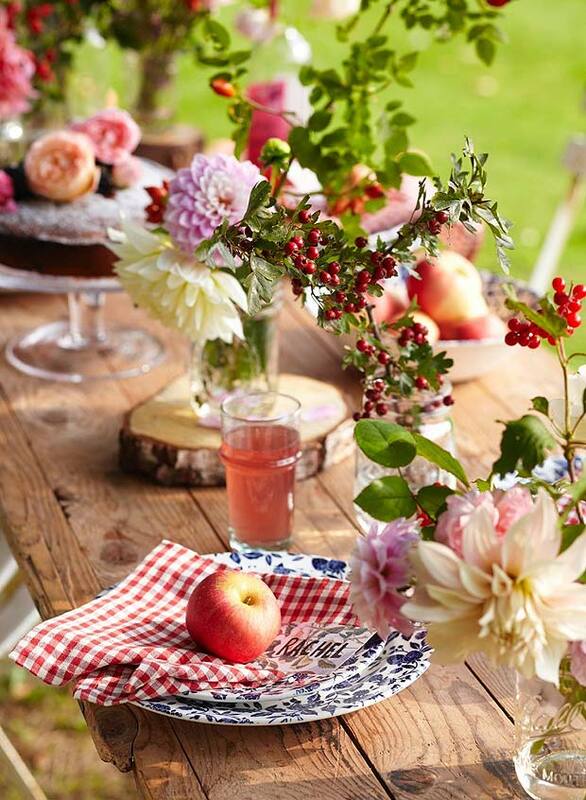 Inspired by the abundance of produce and flowers from the garden, stylist Selina Lake has created beautiful table settings. 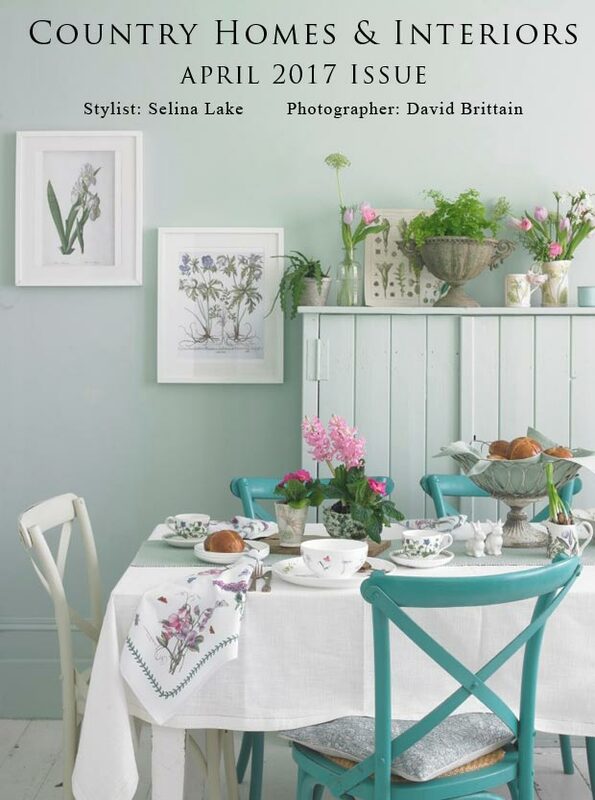 We are delighted that our Auberge Collection of red gingham table linen is featured on the front cover of Country Living, testament to the fact that as well as being a best seller for many years, it is still the choice of the influential stylist, Selina Lake. 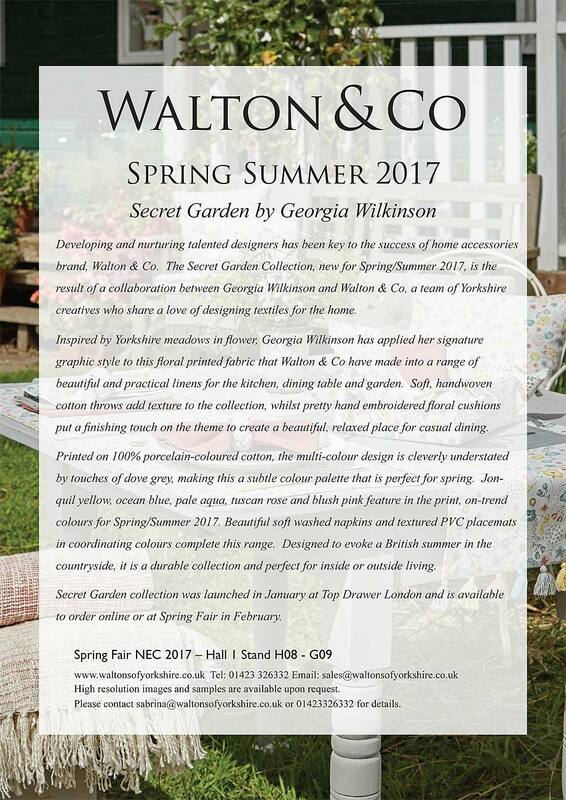 Walton & Co featured in the April 2017 issues of Country House & Interiors and Prima magazine. CH &I has dressed a Spring table with pretty ceramics on a Walton & Co Primavera tablecloth in porcelain colour way overlaid with a Metro table runner in duck egg. 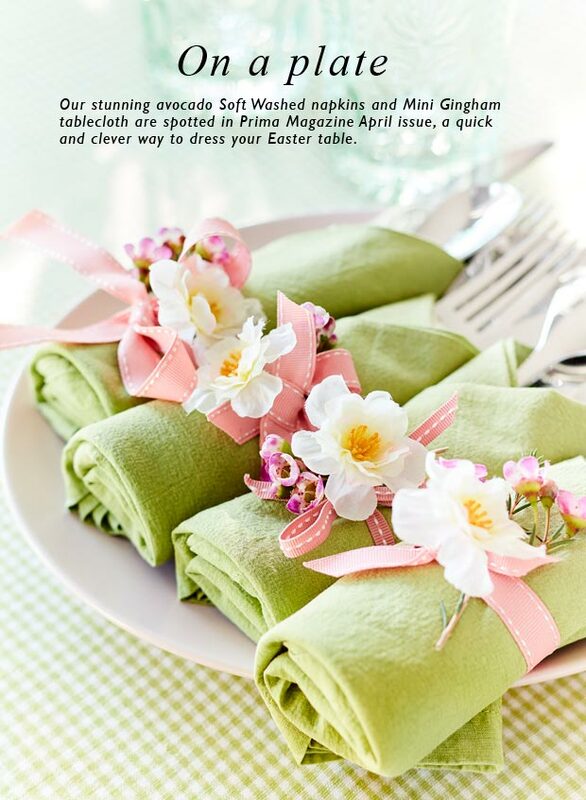 Prima has used our soft washed napkins in spring green and a mini gingham tablecloth in this season's hot colour, avocado, to create a bright Easter table. 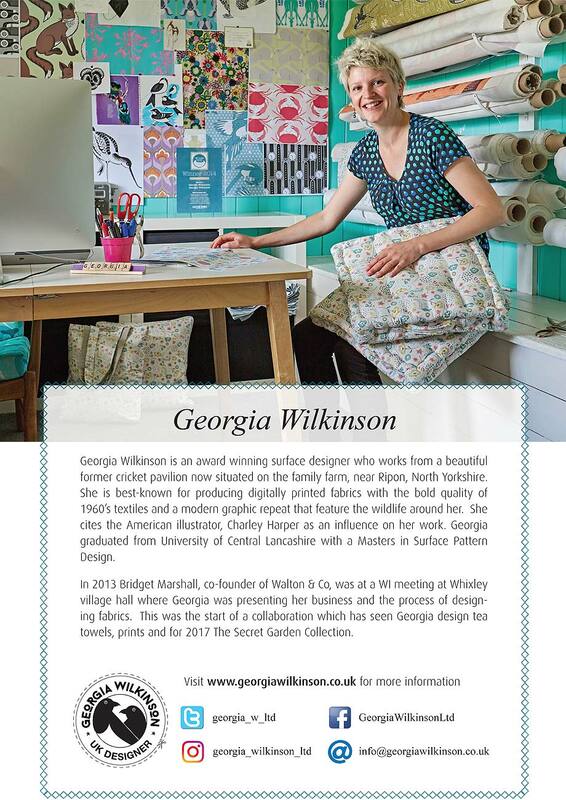 Secret Garden Collection is launched at Top Drawer January 2017 and are available in the retail stores from February 2017.